"I received my "books" and am very pleased. 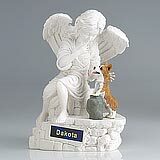 I searched the internet for many days before I found your site. 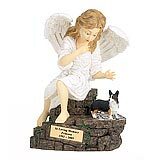 A dog as loved as our Molly deserved to have a special place to rest. I am an avid reader so the books brought my two loves together." 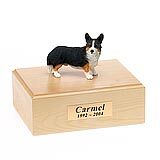 All available Welsh Corgi dog urns and memorials will be displayed with the figurine on the Welsh Corgi urn you select and in the appropriate size.